The TI-5317 is a high-end office calculator with 12-digits calculating capacity. The fast drum printing mechanism prints a maximum of 3.5 lines per second. 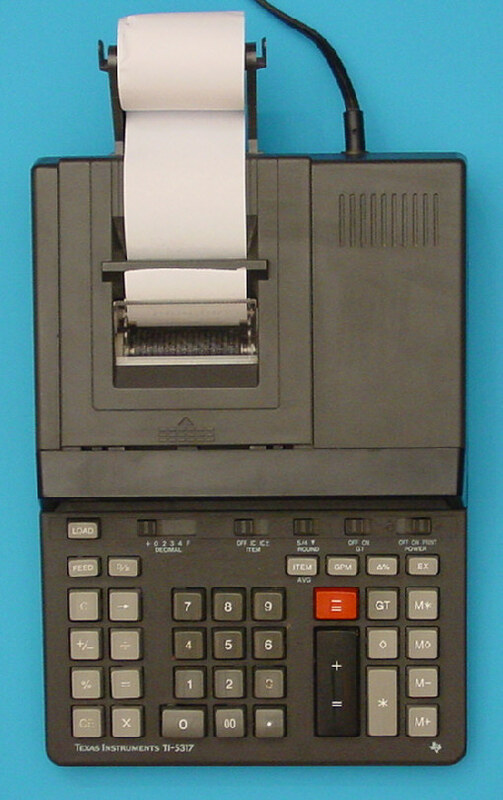 The earlier TI-5155 looks similiar but combined 10-digit capability with a two color printing drive.